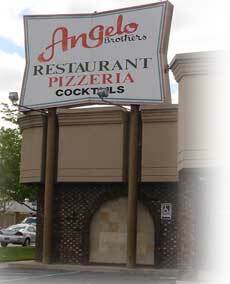 Since 1958, Angelo Brothers Family Restaurant & Pizzeria has earned a reputation as one of the area's best places to dine. Angelo's provides professional, full service catering and banquet hall services for all occasions. Angelo's uses traditional, homemade family recipes with fresh ingredients creating a memorable dining experience at affordable prices. or email Angelo's for details. Angelo's thanks you for over 56 years of servicing the Metro Detroit Area! Copyright © 2008 Angelo Brothers Ristorante. All rights reserved.